The Houston Youth Rugby Association will accept donations that are earmarked for worthy Programs or Events, as well as those to our General Fund. If you have a rugby development idea that you wish for us to consider, or if you just wish to generously make a donation, please click the button below. No amount is too small or too large. Please use the link below to donate funds to the Houston Youth Rugby Association. HYRA is actively looking for individuals that will help organize and work at our events. In addition, we can be a conduit to clubs, high schools, colleges, and universities that are looking for players, coaches or spectators. Finally, here is an enormous need for referees (paid) and also touch judges. For information on refereeing please go HERE. For all other information on volunteering, please send an email by clicking this link. In 2016, training and certification of Coaches, along with a Strength and Conditioning Course, was offered to improve coaching in Houston and all across Texas. 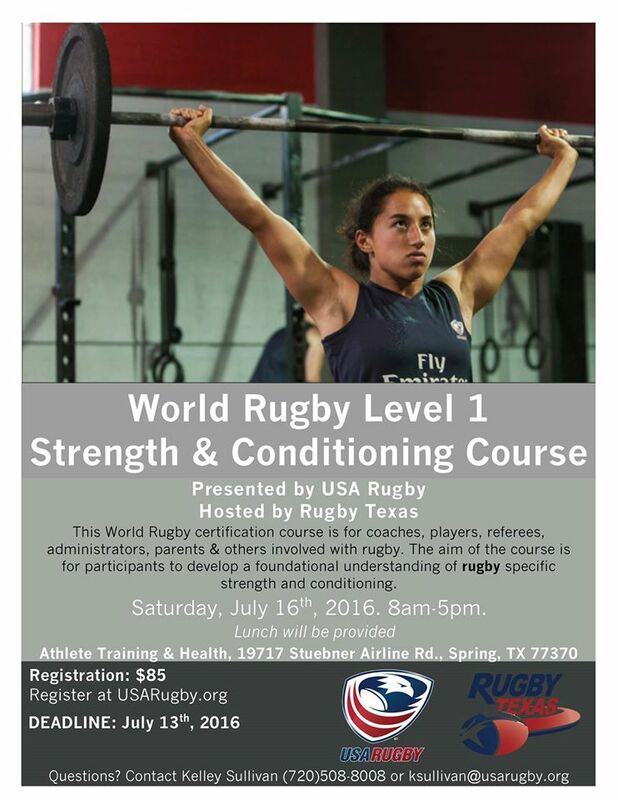 This was possible with a grant from the Houston Youth Rugby Association. © 2019, HYRA. All rights reserved.